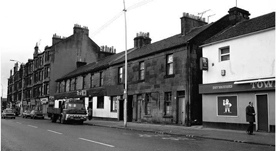 821 Shettleston Road, Shettleston, Glasgow. G32 7NR. Tel: 01417781232. The last time I passed this pub there was a sign above the door TO LET. Deans bar has been here since the early 1800's. To read more click here. Miss Irene Deans with father John B Deans. 1970. 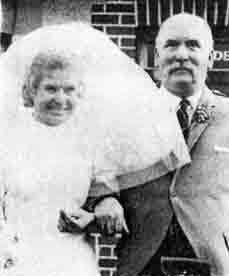 Miss Irene Deans, grand daughter of Effingham Deans, Shettleston Road, well-known Glasgow publican who has held a licence for 53 years, leaves for her wedding to Norman Whitelaw with her father John B Deans. The reception was in the St. Enoch Hotel. 1970. Shettleston Road with Deans Bar in the background and the Town Tavern on the right. 1960s.